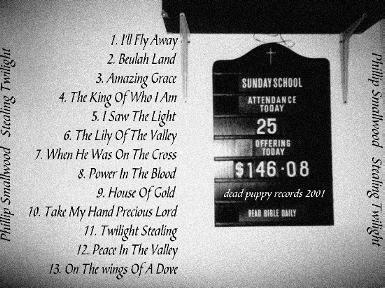 Who would have expected to find PHILLIP SMALLWOOD a HOLINESS PREACHER from CASEY COUNTY KENTUCKY on DEAD PUPPY RECORDS! 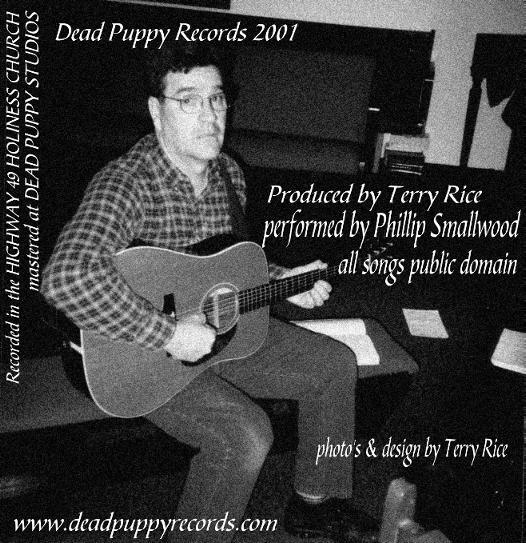 After Working As A Radio DJ for WKDO Radio in Liberty Kentucky Terry Grew Quite Fond Of Phillip And His Style Of Music! You See Terry Worked The Sunday Shift And Had The Honor Of Introducing Phillip's Radio Show! Phillip Would Play His Guitar And Sing Along With His Wife And Children, And When He Was Done He Would Hurry Out The Door And Off To Church Where He Would Do More Of The Same! Terry Was So Impressed With His Music That He Asked Him To Record A Full Length Album Of Traditional Gospel Tunes For DEAD PUPPY RECORDS! We Expect A Bit Of Controversy Over This But We Don't Care! 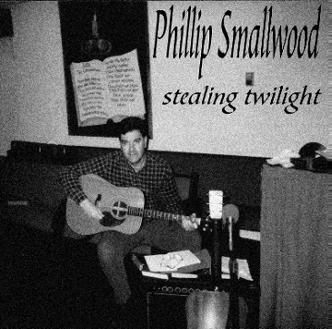 Phillip Is Amazing And So Is This Album! To Keep The Old Style Feel Of This Music We Have Mastered It Purposely Low Quality. This Was An Effort To Sound Like Old Hank Williams Recordings! I Hope Everyone Enjoys This As Much As We Enjoyed Producing It! The Booklet when you put them togethor will be 9.5" x 4.75"
Back Cover 5.9375" x 4.6875"
Click The ZOMBIE Logo Below To Go Download This Album!